Optus Prepaid gives you the freedom of a no lock-in contract and the flexibility to change your recharge amount with every recharge. Whether you want plenty of data, unlimited standard national talk and text, standard international calls, long expiry or a bit of everything, we've got a plan for you. Optus Prepaid plans are value-packed to give you everything you need. On first three Optus Prepaid Epic Data recharges. Plus unlimited standard international calls to 15 selected destinations until 3/6/19. For use in Australia within 28 days. Data: After 3rd recharge, $30 recharge gives you 10GB standard data. New customers only. Excludes rate plan change and SIM swaps. Rate Plan ends: 3/6/19 with 2nd and 3rd recharge until 5/8/19. Limited to 1 per customer. Activate on chosen plan within 30 days of purchase. Offer ends 4th May 17. Enjoy data, entertainment and more on the Optus Prepaid Epic Data plan. Love streaming? Get up to 10GB of data to stream on Netflix, Stan, ABC iView, ABC Kids and ABC ME on every recharge. All for use in Australia within 5 days. Streaming Data: Positive MyData balance required. Expires within 5 days or on next recharge, whichever is earlier. Streaming services subject to change. Content such as ads, authentication and app analytics are excluded and will be deducted from MyData. Tethering and downloads not permitted. Calls to standard national numbers, 13/1300 numbers and Voicemail (charged per minute). Unlimited standard national SMS and MMS. Unlimited standard International calls from Australia to Canada, mainland China, France, Germany, Hong Kong, India, Ireland, Japan, Malaysia, New Zealand, Singapore, South Korea, Sweden, UK, and USA. Offer ends 3/6/19. For details click here. Up to 50GB when you recharge before expiry. Streaming data does not roll over. All for use in Australia within 10 days. Streaming Data: Positive MyData balance required. Expires within 10 days or on next recharge, whichever is earlier. Streaming services subject to change. Content such as ads, authentication and app analytics are excluded and will be deducted from MyData. Tethering and downloads not permitted. All for use in Australia within 28 days. Data: After 3rd recharge, $30 recharge gives you 10GB standard data. New customers only. Excludes rate plan change and SIM swaps. Rate Plan ends: 3/6/19 with 2nd and 3rd recharge until 5/8/19. Streaming Data: Positive MyData balance required. Expires within 28 days or on next recharge, whichever is earlier. Streaming services subject to change. Content such as ads, authentication and app analytics are excluded and will be deducted from MyData. Tethering and downloads not permitted. *10GB standard data from 4th recharge. Unlimited calls to standard national numbers, 13/1300 numbers and Voicemail. Unlimited standard national SMS and MMS. Unlimited standard international calls from Australia to Canada, mainland China, France, Germany, Hong Kong, India, Ireland, Japan, Malaysia, New Zealand, Singapore, South Korea, Sweden, UK and USA. Offer ends 3/6/19. For details click here. For international calls and messages, roaming and selected premium SMS services. For roaming details click here. Data: After 3rd recharge, $40 recharge gives you 20GB standard data. New customers only. Excludes rate plan change and SIM swaps. Rate Plan ends: 3/6/19 with 2nd and 3rd recharge until 5/8/19. Streaming Data: Positive MyData balance required. Expires within 28 days or on next recharge, whichever is earlier. Streaming services subject to change. Content such as ads, authentication and app analytics are excluded and will be deducted from MyData. Tethering and downloads not permitted. *20GB standard data from 4th recharge. Unlimited standard international calls from Australia to Canada, mainland China, France, Germany, Hong Kong, India, Ireland, Japan, Malaysia, New Zealand, Singapore, South Korea, Sweden, UK and USA. For details click here. Data: After 3rd recharge, $50 recharge gives you 30GB standard data. New customers only. Excludes rate plan change and SIM swaps. Rate Plan ends: 3/6/19 with 2nd and 3rd recharge until 5/8/19. Streaming Data: Positive MyData balance required. Expires within 28 days or on next recharge, whichever is earlier. Streaming services subject to change. Content such as ads, authentication and app analytics are excluded and will be deducted from MyData. Tethering and downloads not permitted. *30GB standard data from 4th recharge. Data: After 3rd recharge, $60 recharge gives you 40GB standard data. New customers only. Excludes rate plan change and SIM swaps. Rate Plan ends: 3/6/19 with 2nd and 3rd recharge until 5/8/19. Streaming Data: Positive MyData balance required. Expires within 28 days or on next recharge, whichever is earlier. Streaming services subject to change. Content such as ads, authentication and app analytics are excluded and will be deducted from MyData. Tethering and downloads not permitted. *40GB standard data from 4th recharge. 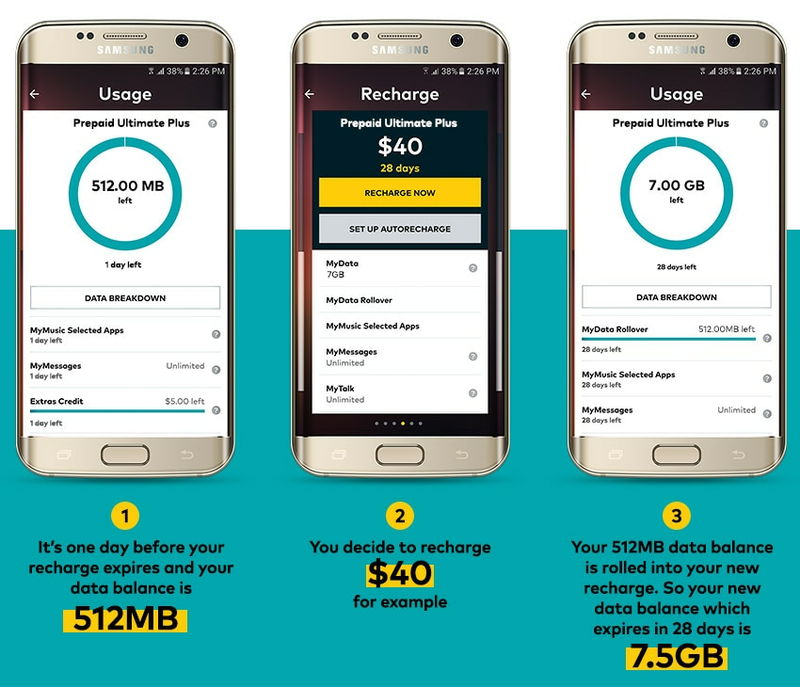 Data: After 3rd recharge, $70 recharge gives you 45GB standard data. New customers only. Excludes rate plan change and SIM swaps. Rate Plan ends: 3/6/19 with 2nd and 3rd recharge until 5/8/19. Streaming Data: Positive MyData balance required. Expires within 28 days or on next recharge, whichever is earlier. Streaming services subject to change. Content such as ads, authentication and app analytics are excluded and will be deducted from MyData. Tethering and downloads not permitted. *45GB standard data from 4th recharge. Data: After 3rd recharge, $80 recharge gives you 50GB standard data. New customers only. Excludes rate plan change and SIM swaps. Rate Plan ends: 3/6/19 with 2nd and 3rd recharge until 5/8/19. Streaming Data: Positive MyData balance required. Expires within 28 days or on next recharge, whichever is earlier. Streaming services subject to change. Content such as ads, authentication and app analytics are excluded and will be deducted from MyData. Tethering and downloads not permitted. *50GB standard data from 4th recharge. Data: After 3rd recharge, $100 recharge gives you 60GB standard data. New customers only. Excludes rate plan change and SIM swaps. Rate Plan ends: 3/6/19 with 2nd and 3rd recharge until 5/8/19. Streaming Data: Positive MyData balance required. Expires within 28 days or on next recharge, whichever is earlier. Streaming services subject to change. Content such as ads, authentication and app analytics are excluded and will be deducted from MyData. Tethering and downloads not permitted. *60GB standard data from 4th recharge. Speak easy with up to 300 minutes standard international talk and text to 50 selected destinations. Build your own add-on with Extras Credit to use for international calls, messages, roaming and selected premium SMS services. For international call rates, visit optus.com.au/prepaidint. $10 credit expires in 14 days and $20 credit expires in 28 days. Q. What can I use my video streaming data for? A. You can use your video streaming data to stream content on Netflix, Stan, ABC iView, ABC Kids or ABC ME apps downloadable from the App Store or Google Play. Q. Will my video streaming data roll over if I recharge before expiry? A. No, only your standard data inclusion will roll over if you recharge before expiry. Q. Can I use my video streaming data for downloads or tethering? A. No, you cannot use the data for these purposes. Q. How many gigs are consumed in one hour of video streaming? A. The amount of data consumed varies depending on various factors such as the streaming service you're using, network traffic, device and the streaming quality you select. We recommend you select Standard Definition (SD) /medium quality to maximise your MyVideo Selected Apps data. You should check with Netflix, Stan and the ABC for more information on how to adjust your stream quality settings and data usage. You can check your usage at any time via the My Optus app. Q. How do I receive video streaming data? A. Any customer (both new and existing) who recharges on Optus Prepaid Epic Data will receive video streaming data. Q. Is video streaming data available on all recharges on Optus Prepaid Epic Data? A. Yes, video streaming data is available on all recharges of $5 or more. Q. When will the video streaming data expire? A. Video steaming data will expire at the end of your recharge period or on your next recharge, whichever is earlier. Video streaming data will not roll over. Q. How will the video streaming data appear when I check my Prepaid balance? A. Your video streaming data will appear in your balance as MyVideo Selected Apps. 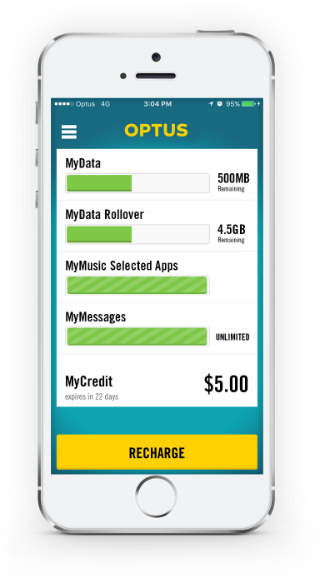 You can manage your usage by downloading the My Optus app. Q. Can I recharge the MyVideo Selected Apps data allowance? A. No, MyVideo is an included extra in your recharge and cannot be topped up separately. Q. Can I use my video streaming data if I don't have any MyData left? A. Unfortunately not, a positive MyData balance is required in order to use your video streaming data. Q. What destinations can I call if I have a standard plan inclusion of unlimited standard international calls? A. If you have a standard plan inclusion of unlimited standard international calls, you can make calls to 15 destinations: Canada, mainland China, France, Germany, Hong Kong, India, Ireland, Japan, Malaysia, NZ, Singapore, South Korea, Sweden, UK and USA. For details click here. Q. What happens if I would like to call other destinations? A. 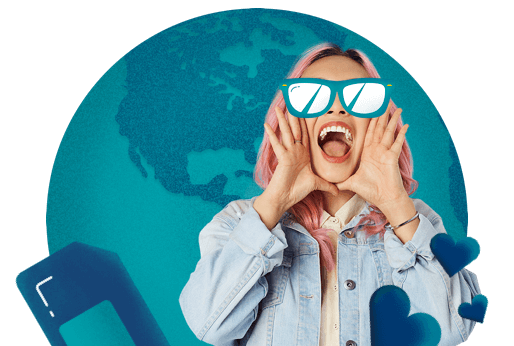 You can call other destinations that aren't part of your standard inclusion by using the Extras Credit included in recharges that are $30 and above on Optus Prepaid Epic Data. To check calling rates for other destinations, head to optus.com.au/prepaidint. Q. Can I make calls to these international destinations from anywhere? A. The unlimited standard international calls inclusion is valid for calls made from within Australia. You can use the included Extras Credit for roaming or calls made from outside of Australia. Q. How will the standard international calls inclusion appear on my recharge balance? A. When you check your balance, you will see your unlimited standard international calls under MyTalk Selected Intl. Q. When does MyData Add On get used? A. MyData Add On is used before any remaining MyData and MyData Rollover allowances. Q. Do I need to have an active standard recharge to purchase a MyData Add On? A. Yes, you must be within the expiry of your current standard recharge to purchase a MyData Add On. Q. How do I roll over MyData Add On? A. Roll over unused MyData Add On up to 50GB if you recharge with any MyData Add On before expiry. MyData Add On rolls over into the MyData Add On balance. Q. How much MyData Add On can I roll over? A. You can roll over up to 50GB of MyData Add On. If you accrue over 50GB of MyData Add On you will forfeit any data over that limit. Q. Will a standard plan recharge also roll over MyData Add On? A. No, MyData and MyData Add On roll over separately. That is, you can only roll over MyData Add On by recharging with another MyData Add On before expiry of your existing MyData Add On. If you recharge with a standard plan recharge before the expiry of your MyData Add On, your existing MyData Add On will not roll over. Q. When I roll over MyData Add On, how will it appear on my recharge balance? A. MyData Add On rolls over into the MyData Add On balance. When you check your balance, you will see your total MyData Add On under MyData Add Ons. Q. When does Extras Credit Add On get used? A. On the Optus Prepaid Epic Data plan, Extras Credit Add On is used before any remaining Extras Credit inclusions with $30+ recharges. Note that the Optus Prepaid Epic Value plan does not have Extras Credit as a standard inclusion. Q. Do I need to have an active standard recharge to purchase an Extras Credit Add On? A. No, you can purchase an Extras Credit Add On at any time. You do not need an active standard recharge to purchase an Extras Credit Add On. Q. How do I roll over Extras Credit Add On? A. Roll over unused Extras Credit Add On up to $500 if you recharge with any Extras Credit Add On before expiry. Extras Credit Add On rolls over into the Extras Add On balance. Q. Does Extras Credit roll over too? A. No, unlike Extras Credit Add On, the Extras Credit included with recharges $30+ on the Optus Prepaid Epic Data plan does not roll over. Remaining Extras Credit balance is forfeited on expiry or next recharge, whichever is earlier. Q. How much Extras Credit Add On can I roll over? A. You can roll over up to $500 of Extras Credit Add On. If you accrue over $500 of Extras Credit Add On you will forfeit any credit over that limit. Q. Will a standard plan recharge also roll over Extras Credit Add On? A. No, if you recharge with a standard plan recharge before the expiry of your Extras Credit Add On, your existing Extras Credit Add On will not roll over. Q. When I roll over Extras Credit Add On, how will it appear on my recharge balance? A. Extras Credit Add On rolls over into the Extras Credit Add On balance. When you check your balance, you will see your total Extras Credit Add On under Extras Credit Add Ons. Q. How much MyData can I roll over? A. If you recharge before expiry of your standard recharge, you can roll over up to 50GB. If you accrue over 50GB you will forfeit any data over that limit. Get unlimited standard national talk and text and included data on your recharge from just $15. Charged per KB. Expires in 21 days. All for use in Australia. Up to 50GB when you recharge before expiry. Charged per KB. Expires in 28 days. All for use in Australia. Charged per KB. Expires in 42 days. All for use in Australia. Charged per KB. Expires in 365 days. All for use in Australia. A. Extras Credit Add On rolls over into the Extras Credit Add On balance. When you check your balance, you will see your total Extras Credit Add On under Extras Credit Add On. Get a daily dose of data with the My Prepaid Daily Plus plan. Enjoy 500MB of data for just $2, including unlimited standard national talk and text. Extra data auto charged $2 for 524MB. Total cost $4/day for 1GB data. Data Charged per KB. Day ends 11:59pm local time. After 11:59pm Sydney time, your daily balance may display as zero even if you have remaining inclusions to use that day. Your $2 daily charge is deducted from your MyCredit. Rollover your unused MyCredit when you recharge before expiry. Extra data auto charged $2 for 524MB. Total cost $4/day for 1GB data. Once you reach the daily data maximum of 1GB, you can buy more via the My Optus app or SMS 'MENU' to 9999. $2 for 500MB (expires 11:59pm local time). International calls do not trigger the Daily Level. They will be deducted from your MyCredit. Charged per minute. No connection fee. After 11:59pm Sydney time, your daily balance may display as zero even if you have remaining inclusions to use that day. Recharge $30, $40 or $50 on Optus Prepaid Long Expiry and get 6 months until expiry. Recharge $10 and you'll get 45 days expiry, while a $20 recharge will get you 90 days expiry. For 12 months expiry, recharge $60, $70, $80 or $100. Charged per KB. Expires in 45 days. Rollover your unused MyCredit up to $500 when you recharge before expiry. 25 cents per minute for calls to standard Australian mobiles and landlines, 13/1300 numbers and Voicemail. Charged per minute. 25 cents per standard national SMS (160 characters) and MMS. Charged per KB. Expires in 90 days. Charged per KB. Expires in 186 days. Charged per KB. Expires in 365 days. Expires in 14 days, or on next MyData Add On purchase, whichever is earlier. Charged per KB. For use in Australia. To standard Australian mobiles and landlines, 13/1300 numbers and Voicemail. Expires in 28 days, or on next MyTalk Add On purchase, whichever is earlier. Charged per minute. Choose the best Prepaid plan for you for $10. Optus Epic Data plan has heaps of data and entertainment inclusions, while the Optus Long Expiry plan gets you 45 days expiry. Choose the best Prepaid plan for you for $20. Optus Epic Data plan has heaps of data and entertainment inclusions, while the Optus Long Expiry plan gets you 90 days expiry. Choose the best Prepaid plan for you for $30. Optus Epic Data plan has heaps of data, while Optus Epic Value Plan offers you an epic 42 day expiry. Otherwise grab one of our daily or long expiry plans. Choose the best Prepaid plan for you for $40. Optus Epic Data plan has heaps of data, while Optus Epic Value Plan offers you an epic 42 day expiry. Get a daily dose of data with the My Prepaid Daily Plus plan on a $45 recharge. Enjoy 500MB of data for just $2, including unlimited standard national talk and text. Choose the best Prepaid plan for you for $50. Optus Epic Data plan has heaps of data, while Optus Epic Value Plan offers you an epic 42 day expiry. Choose the best Prepaid plan for you for $60. Optus Epic Data plan has heaps of data, while Optus Epic Value Plan offers you an epic 42 day expiry. Otherwise grab one of our daily or long expiry plans. Choose the best Prepaid plan for you for $70. Optus Epic Data plan has heaps of data, while Optus Epic Value Plan offers you an epic 42 day expiry. Choose the best Prepaid plan for you for $80. Optus Epic Data plan has heaps of data, while Optus Epic Value Plan offers you an epic 42 day expiry. Choose the best Prepaid plan for you for $100. Optus Epic Data plan has heaps of data, while Optus Epic Value Plan offers you an epic 42 day expiry. Otherwise grab our daily plan. Get long expiry with the $180 Epic Value plan. Be connected at home or on the go with our Prepaid Mobile Broadband SIM Starter Kit. Choose a SIM Kit or a recharge amount for your tablet or modem based on your data needs. Rollover your unused data up to 50GB when you recharge before expiry. All for use in Australia. Usage Alerts: Are sent to you in real time although delays may occur from time to time. You should not rely solely on the alert service to monitor your usage. To get up to speed with your balance, free SMS the keyword BAL to 9999 or download the My Optus app. Recharge vouchers: Must be redeemed by the offer end date in order to receive the offer. Premium SMS: Premium SMS (PSMS) within your Extras Credit or Extras Credit Add On enables you to send an SMS to vote or enter competitions by calling or texting a ‘19’ short code that is either 6 or 8 digits long. Excludes content purchases such as: Mobile ringtones, Mobile wallpaper, Online games, Chat services, Horoscopes, Subscription services, Age-restricted content, News, sports and weather updates, Music and video clips. The categories of premium SMS may change from time to time and we reserve the right to add or remove number ranges from any category set out above in accordance with those changes. Data: Rate plan ends 3/6/19 with 2nd and 3rd recharge until 5/8/19. After 3rd recharge standard data is: 10GB for $30, 20GB for $40, 30GB for $50, 40GB for $60, 45GB for $70, 50GB for $80, 60GB for $100. New customers only. Excludes rate plan changes and SIM swaps. For use in Australia within 28 days or on next recharge, whichever is earlier. Streaming Data: Requires positive MyData balance to access. Expires at the end of your recharge period or on your next recharge, whichever is earlier. Streaming services subject to change and may not have apps available on all mobile operating systems. Content such as ads, authentication and app analytics are excluded and will be deducted from any MyData balance you have. Tethering and downloads not permitted. Extras Credit: Expires within 28 days or on next recharge, whichever is earlier. Extras Credit and Extras Credit Add Ons: To be used for selected premium SMS services, roaming (excluding MMS) while overseas in selected destinations or international calls and messages from within Australia. Non-standard international calls will be charged at different rates. Optus makes no guarantee regarding the quality and availability of coverage or any roaming services. Exclusions apply to some premium SMS services - see optus.com.au/prepaidplans for details. For details of rates, go to optus.com.au/prepaidint and optus.com.au/travel. MyData Add Ons: May only be purchased at optus.com.au/recharge or via the My Optus app. You must be within your recharge expiry period to purchase a MyData Add On. Extras Credit Add Ons and MyData Add Ons: are used before the same usage type in your plan recharge (e.g. a $10/1.5GB MyData Add On will be used before any remaining data in your standard recharge inclusions). If you recharge with the same Add On before it expires, the inclusions in that Add On will roll over (e.g. if you recharge with a $10 Extras Credit Add On before an earlier $10 Extras Credit Add On expires, those Add On inclusions will roll over). $5 International Talk Add On: May only be purchased by customers within their recharge expiry period. Only available at optus.com.au/recharge or via the My Optus app. Excludes premium/special/satellite/overseas toll-free numbers and video calls. Any usage beyond the included value charged at standard rates, see optus.com.au/prepaidint for more info. Data Rollover: Roll over unused included MyData up to a max of 50GB if you recharge before expiry. If you accrue over 50GB of MyData Rollover you will forfeit any data over that limit. MyData Rollover will be used after any MyData Add On, MyData or MyData Bonus allowances you may have on your current recharge. Unlimited Standard International Calls: $10 to $30 Prepaid Epic Data recharges provides unlimited standard international calls to 15 selected destinations until 3/6/19. $40+ recharges provides unlimited standard international calls to 15 selected destinations as standard plan inclusion. Included destinations are Canada, mainland China, France, Germany, Hong Kong, India, Ireland, Japan, Malaysia, New Zealand, Singapore, South Korea, Sweden, UK & USA. Calls to other destinations and non-standard calls are deducted from included Extras Credit, see optus.com.au/prepaidint for rates. For calls made from within Australia. Expires in 28 days or on next recharge, whichever is earlier. Excludes premium/special/satellite/overseas toll-free numbers and video calls. Extras Credit Add Ons: To be used for selected premium SMS services, roaming (excluding MMS) while overseas in selected destinations or international calls and messages from within Australia. Non-standard international calls will be charged at different rates. Optus makes no guarantee regarding the quality and availability of coverage or any roaming services. Exclusions apply to some premium SMS services - see optus.com.au/prepaidplans for details. For details of rates, go to optus.com.au/prepaidint and optus.com.au/travel. MyData Add Ons: Used before any remaining MyData in your standard recharge inclusion. May only be purchased at optus.com.au/recharge or via the My Optus app. You must be within your recharge expiry period to purchase a MyData Add On. Extras Credit Add Ons and MyData Add Ons: If you recharge with the same Add On before it expires, the inclusions in that Add On will roll over (e.g. if you recharge with a $10 Extras Credit Add On before an earlier $10 Extras Credit Add On expires, those Add On inclusions will roll over). $5 International Talk Add On: May only be purchased by customers within their recharge expiry period. Only available at optus.com.au/recharge or via the My Optus app. Excludes premium/special/satellite/overseas toll-free numbers and video calls. Any usage beyond the included value charged at standard rates, see optus.com.au/prepaidint for more info. Data Rollover: Roll over unused included MyData up to a max of 50GB if you recharge before expiry. If you accrue over 50GB of MyData Rollover you will forfeit any data over that limit. MyData Rollover will be used after any MyData Add On, MyData or MyData Bonus allowances you may have on your current recharge. MyCredit Rollover: Unused MyCredit will rollover to the next recharge up to $500 if you recharge before your credit expires. You will lose all your MyCredit if you don't recharge before credit expiry. If you recharge over $500 you will forfeit any MyCredit over that limit. Add Ons: Used before your MyCredit balance. The $2 Daily Level is charged on the first outbound standard national call, SMS, MMS, Voicemail, music streaming or data use each day. Some phones are set to seek data automatically, and this will cause the first Daily Level to be charged. Please check your phone settings. If you use more than the included data in the $2 Daily Level, we'll auto charge you another $2 for 524MB data (total of 1GB/$4) to use in the day. In addition to your daily usage charge (if applicable), international, roaming and non-standard calls and usage will be charged at different rates from your MyCredit. Extra Data Purchase: Data will expire at the end of the day of purchase. Extra data can only be purchased once the daily data max is reached. Data Rollover: If you accrue over 50GB you will forfeit any data over that limit. DATA ROLLOVER UP TO 15GB ON MY PREPAID ULTIMATE! Recharge with $10 or more on My Prepaid Ultimate or My Prepaid Daily Plus, and you'll be eligible for this offer. That means you can stream music on Google Play Music, iHeartRadio, Pandora and Spotify selected apps without using your included data! You'll know you can stream music without using your data when you see 'MyMusic Selected Apps' in your balance. There are a few exclusions that do you use your included data though. These include video streaming, song downloads, analytics and non-music content like album artwork and advertisements. For more details check out the FAQs below or head to optus.com.au/prepaidmusic.